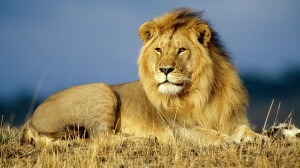 OS 10.7 “Lion” is here! Are you ready, skee-daddy? And did you make a complete backup of your system using Time Machine and an external hard drive? How about a bootable backup of the entire system? Could be helpful if things go sour. You should definitely have MACximize come in to check out your system before you do anything this major to your computer. That’s why we’re here. • At least 4GB of free disk space for downloading. • Like Snow Leopard, Lion does not support PowerPC-based Macs (e.g., Power Macs, PowerBooks, iBooks, iMacs (G3-G5), eMacs). • Furthermore, Lion does not support 32-bit Intel Core Duo or Core Solo based Macs. But as with every other system upgrade, if you’ve got some important work in the next few weeks where you can’t be down, can’t not be able to print, can’t afford to have to deal with upgrade headaches, by all means, let those who must be on the bleeding edge be the first. Heck, are you a pioneer or a follower? I’ve been using a Mac since 1985. My mother advised me to take up Windows 95 in the 90s so I’d be able to feed my family “just in case” Apple went under. I’ve got Apple flowing thru my veins, so yeah, I’ll be upgrading. Well maybe after the weekend!